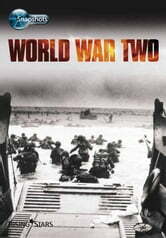 World War II is a fascinating but complicated subject - this book breaks it into manageable bit-size chunks with interesting facts and illustrations. Step inside and discover more about World War Two. Zoom in on invasions, rescue missions and dogfights. Focus on spies and The Resistance. The Snapshots series of colourful and visually appealing titles is designed to engage 9 to 14 year old reluctant readers. With their bold design and familiar subject matter from battles to Batman these books are perfect for guided reading and for encouraging less able readers to enjoy reading alone. Scholastic Reader Level 2: Twin Magic #1: Lost Tooth Rescue!